Adventure Game Studio | Forums | BACKGROUND BLITZ: Nighttime - WINNERS ANNOUNCED! 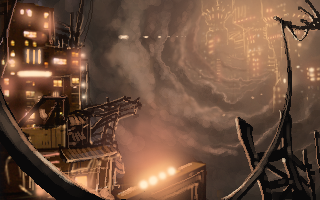 Topic: BACKGROUND BLITZ: Nighttime - WINNERS ANNOUNCED! BACKGROUND BLITZ: Nighttime - WINNERS ANNOUNCED! 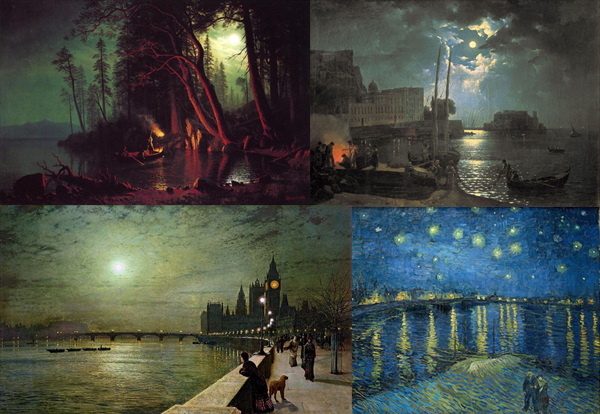 Albert Bierstadt, Lake Tahoe, Spearing Fish by Torchlight; Sylvester Shchedrin, Moonlit Night in Naples; John Atkinson Grimshaw, Reflections on the Thames; Vincent van Gogh, Starry Night Over the Rhône. 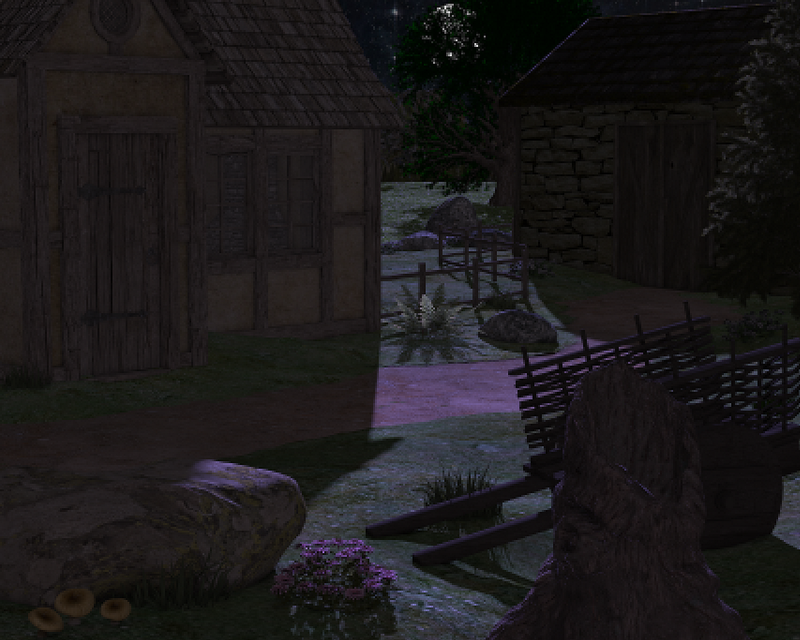 Your job is to create a background set at nighttime. It can be anything you want: a starry night in the countryside, a futuristic city at night, a dark alley, or something else entirely! Even a rock concert, as long as it takes place at night. Concept: your background should tell us something about the place you have depicted. Playability: does it have clearly defined walkable areas, things to interact with, etc? Artistic Execution: does the image convey the wanted atmosphere? What's the feeling of the place? I like your background, Mouth for war! It has a lovely atmosphere, it makes you feel like you're under the moonlight. And the light creates some nice contrast. Isn't anyone else gonna join this comp.? Come on people! night time is awesome!!!!! Since the deadline isn't until next Friday, I plan to to make my background this weekend. A quick reminder: the deadline is Friday. If anyone is working on his entry and need more time, let me know, and I can add a few days to the competition! Come on, don't let Mouth for war win by default! I could submit an all-black rectangle, if that helps. If you want more than a generic sky with a low detail moon then I probably do need an extension until like Sunday. 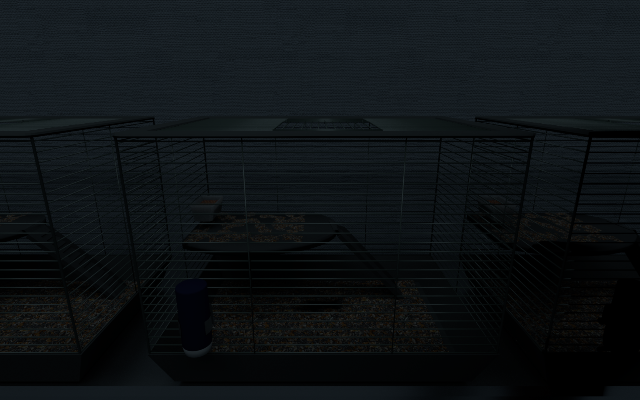 Unfortunately, Friday is also the due day for the GameJam and I'm still attempting to finish something for it. That would be a very minimalist background! Sorry, I didn't know about the Game Jam, I would've chosen another day otherwise. I'll extend the competition for another week. The new deadline is the 25th of May! Maybe you should lure some MAGS participants to join the blitz. 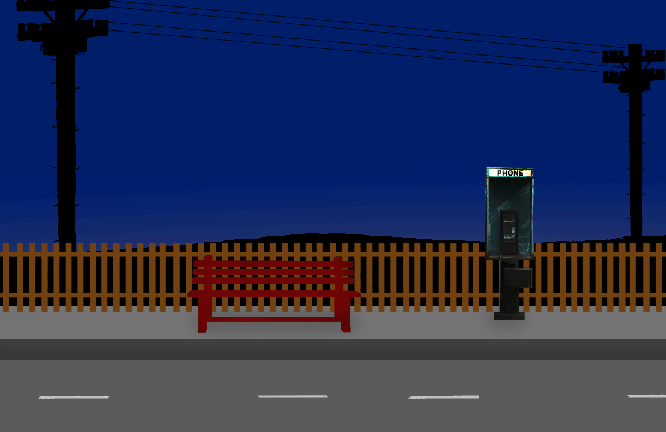 Someone might have already drawn a night scene for their MAGS game or perhaps is planning to. 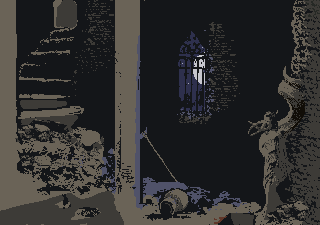 I'm always impressed with what people can create with a few pixels and a limited palette. That's a really cool background, Kastchey, very atmospheric! It's detailed enough to make you understand what's going on, but it leaves enough room to the imagination. I just made a sequence for my MAGS game, and thought it could fit well in the theme (or as well as a tangent can be ). Amazing entries! Inspired me to do a quick one myself - this is a bit of a photobash experiment, some "dirty tools" too. Cassiebsg: as long as the background is set at night, it's fine. Best of luck with your MAGS game! Pinback: great background, I love the lighting and the sense of scale. Looks really good, regularryan! Nice silhouettes in the distance. Not too creative, but it's what I was inspired to make.